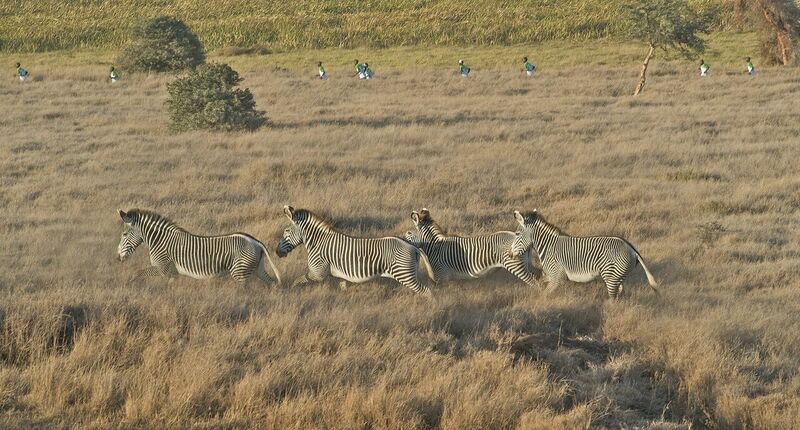 The first and most distinctive is that it is run on a wildlife conservancy, which is also a UNESCO world heritage site. The Lewa Wildlife Conservancy is home to a number of endangered and threatened species- and also a catalyst for community development for its neighboring communities. For the past 17 years, funds raised from the marathon have gone a long way in ensuring Lewa remains a safe haven for wildlife as well as a catalyst for community development. Kenya is known for two things, it's beautiful wildlife and it's long distance running champions. The marathon takes special pride in bringing these two aspects together. 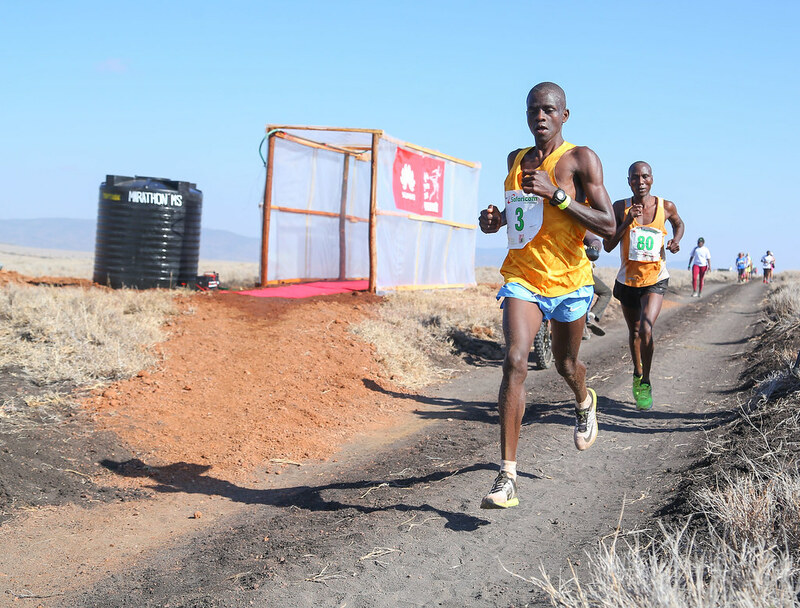 Over the years runners from all over the world of varying athletic abilities have taken part alongside athletic world-record holders such as Eliud Kipchoge and Paul Tergat. On the badge you indicate that the Safaricom Lewa Marathon is run in Nairobi Kenya. Fact is, the marathon is actually run in Meru County -Kenya. PS: please give credit where it's due. Why on earth can't you for once recognize the beautiful County of Meru..!? There are three race categories; The Full Marathon, Half Marathon and Children's Race. The races start at 7.00 am at the southern end of the conservancy. 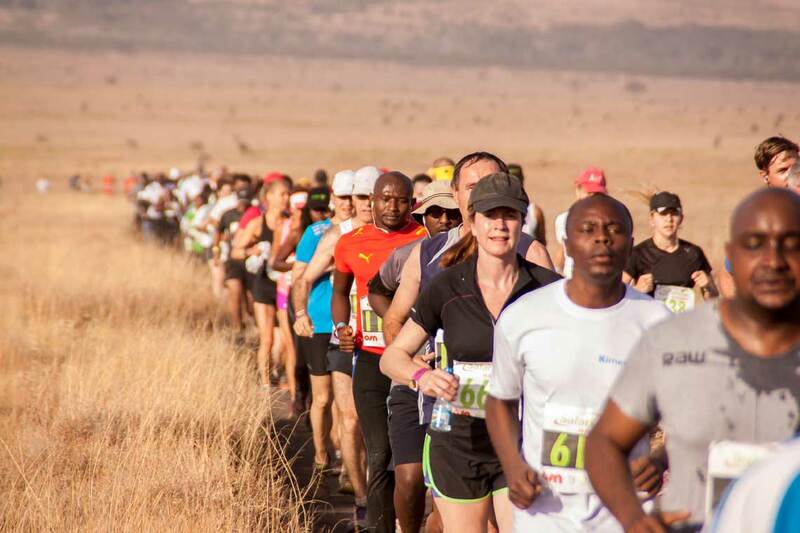 The course is set on dirt roads that take the runners on an undulating 13 mile course through the reserve, across Savannah plains, along river banks and through acacia woodland before finishing close to Lewa’s headquarters. Half Marathon runners complete one loop of the course, Full Marathon runners, two. The route is watched over by a large and experienced team of armed rangers, with two helicopters and a spotter plane in the air throughout the race. Water stations and first aid points are situated every 2.5 km along the course. Medical support at the finish is provided by AMREF - the flying doctors, the Kenya Red Cross and local hospitals. On completion of the race each runner is presented with a medal and goody bag. The impact of the event has been huge and the benefits are very tangible. Since its inception, the event has raised over $5million - last year's race alone raised $640,000. Tusk and Lewa have always shared a common goal to use wildlife conservation as a catalyst to alleviate poverty, reduce conflict, and improve education and livelihoods in rural areas rich in biodiversity. 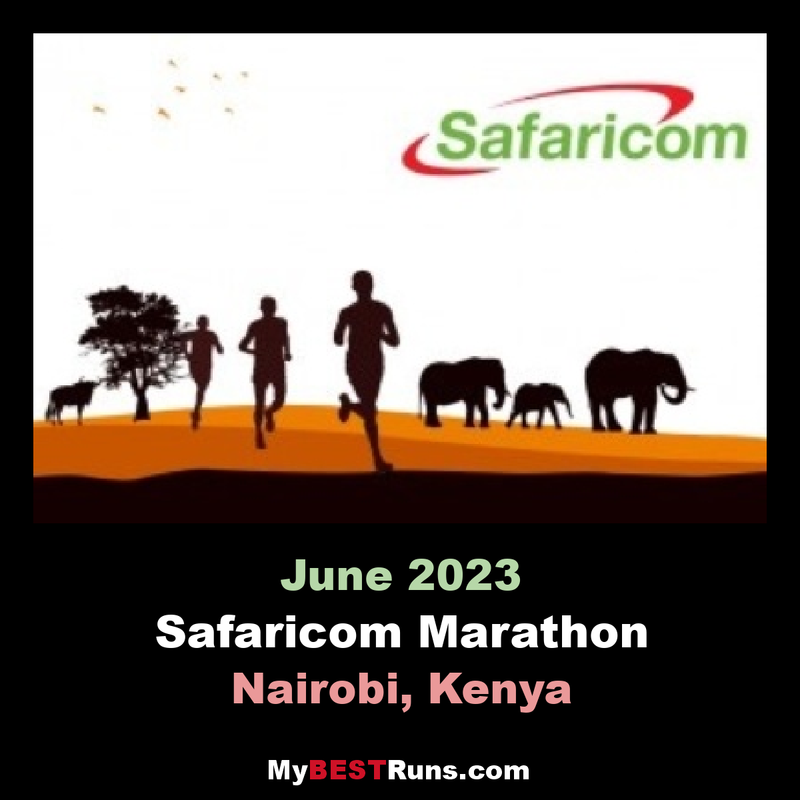 The Safaricom Marathon is unique and must not be viewed like the many City marathons held around the world.